This weekend Hattingley Valley hosted US importer Valkyrie Selections, US distributor MS Walker and UK distributor Enotria & Coe, to a quintessentially English weekend to mark the launch of an annual incentive for their US sales teams. With export a key part of Hattingley’s strategy, and the business now exporting to more than 15 countries, this investment into their partners is a signal of their intent to establish themselves as a global market leader. The itinerary centred around participation in the London to Brighton Veteran Car Run, which Hattingley sponsored for the third year running. 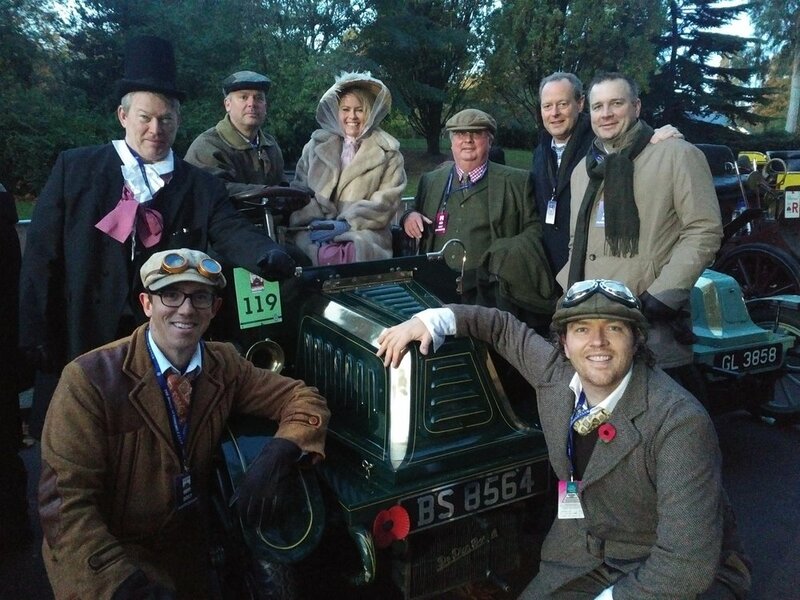 Hattingley Valley’s owner, Simon Robinson takes part driving his 1902 De Dion Bouton which sets off from Hyde Park on the first Sunday of November. Hattingley Valley treated their guests to 96 action-packed hours including a tasting of library vintages, reserve wines and 2017 base wines at the winery as well as visiting iconic English institutions like Windsor Castle, The Royal Automobile Club, The Houses of Parliament and afternoon tea at a top London hotel. Top (L-R): Troy Christensen, CEO Enotria&Coe; Jason White; Emma Rice, Head Winemaker at Hattingley Valley; Simon Robinson, Owner at Hattingley Valley & Chairman of UK Wine Producers; Doug Shaw, Principal at MS Walker; Peter Daunis, Fine Wine Director at MS Walker. Bottom (L-R): Baron Ziegler, CEO at Valkyrie Selections; Gareth Maxwell, Export & Sales Manager at Hattingley Valley. Brexit bonus for English sparkling winemakers?